In a smartphone ecosystem dominated by Apple and Android-based products, Nokia and Microsoft are much like those two kids who are always picked last for kickball: They’re clearly in the line-up, but seen as bloated, slow-moving players that nobody wants to play with. Though Nokia remains the leader in global mobile phone sales, most of those handsets are lower-end “feature” phones, and the company’s market share dropped by close to a third of what it was in 2010, according to estimates from Gartner Research. Similarly, Microsoft continues to dominate the desktop software space, but its Windows Phone software holds only 1.6 percent of the global mobile OS share, according to the same Gartner report. Both Nokia and Microsoft are massive companies with huge economies of scale — and both have the most tenuous of grasps on the burgeoning smartphone market. However bleak their smartphone fortunes may be, though, Nokia and Microsoft aren’t giving up. This Wednesday, Nokia announced the Lumia 800 and 710, two Windows Phone-powered devices that mark Nokia’s first legitimate forays into the modern smartphone space. Gone is the near-obsolete MeeGo operating system, and its place is an OS with all of Microsoft’s marketing muscle — not to mention likely synergy with Windows 8, Redmond’s next desktop OS. So, no, Nokia’s failure in the smartphone space isn’t a fait accompli. But the company will have to rally support around three key initiatives — and this is how I see it all going down. 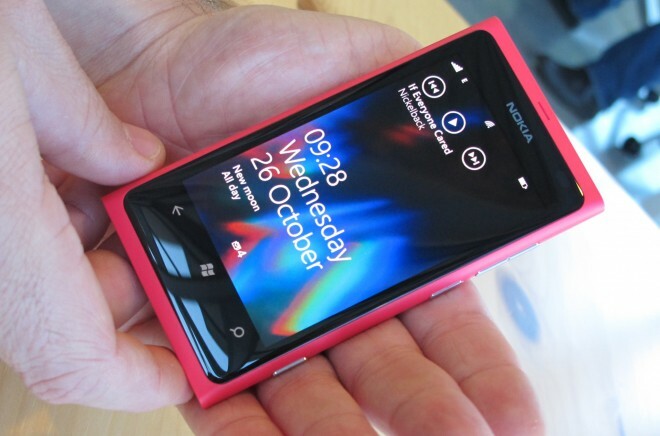 In its Lumia phones, Nokia is delivering a design sensibility that’s markedly different than that of its competitors. Like an item lifted straight off the F.A.O Schwarz showroom floor, the Lumia 800 oozes with child-like whimsy. Wrapped in a polycarbonate casing that comes in a color palette best described as “candy-coated,” the phone stands in stark contrast to the blatantly techie stylings of Android handsets, and the sui generis look-and-feel of Cupertinian design. It’s a point of differentiation that sets off Nokia from its competitors to an extreme degree, and it’s a well-warranted move. After all, no company can really keep up with Jony Ive’s meticulously designed iOS devices, so Nokia has much more to gain by exploring an completely different design language. And while there’s a plethora of Android handsets for consumers to choose from, most models lack any real conversation-stopping wow factor. We’ve seen a few close calls — the new Motorola RAZR, for example, is indeed remarkably thin, if not also handsome — but when was the last time people went nuts over an Android phone, just because it was going to be released in a white chassis? That’s right — never. People don’t buy Android phones for their industrial design. 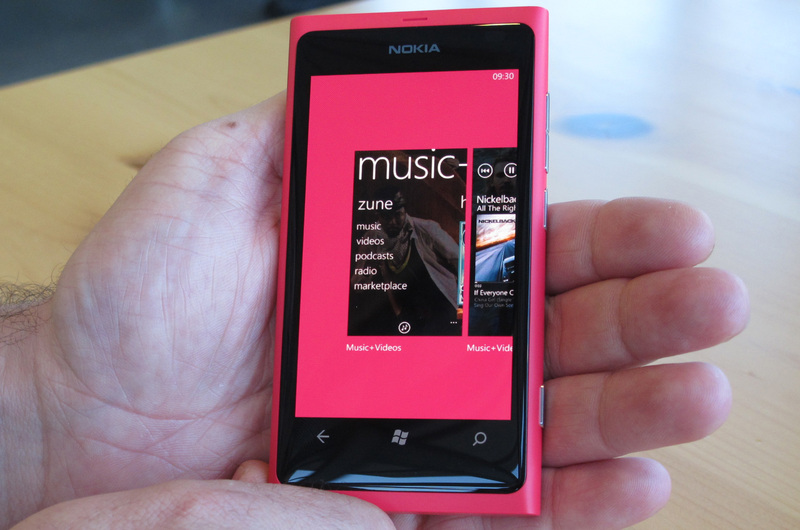 Which is why the vibrant, bold process colors of the new Lumia 800 should be perfect for capturing consumer eyeballs once the phones hit carrier shelves. “Nokia has shown it can still capture attention with attractive and distinctive hardware,” Ross Rubin, an analyst for NPD Group, told us in an email. 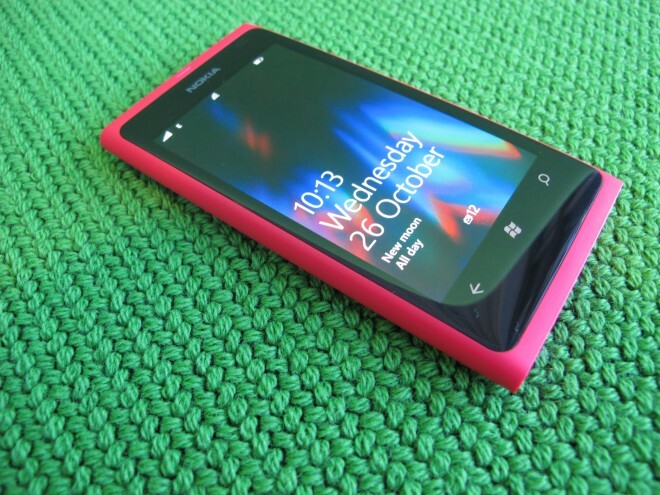 Specs-wise, Nokia’s new Lumia 800 isn’t a dominant piece of hardware. The Qualcomm chip that powers it is a single-core Snapdragon — underwhelming in a smartphone space where dual-core processing is quickly becoming the new baseline. And while the Lumia 800 comes with 16GB of on-board storage, there’s no SD expansion slot, because Nokia wanted to keep the phone’s slick polycarbonate case free of seams and ugly port openings. But specs are for nerds. Or so the Nokia strategy would seem to state. Android fanatics are the ones who geek out over faster processors, fatter expansion possibilities, and ports galore. Nokia’s target audience just wants a phone that “works great,” the company says. “There may be devices out there that have faster processors, more memory and what have you, but we have a faster experience,” said Marc Kleinmeier, Nokia senior manager of developer evangelism, in an interview. Kleinmeier added that Nokia and Microsoft worked together to improve hardware/software integration, and the fruits of this labor yielded a phone that performs well beyond what its raw specs may suggest. Nokia’s massive wager isn’t just resting on a curious hardware package. Additionally, the company is taking a monumental risk by eschewing Android — the world’s most widely installed smartphone OS, and the most viable competitor to iPhone — and doubling down on the Windows Phone underdog. Microsoft’s fledgling OS has a small sliver of market share, and it will be an uphill fight like none other. A scary prospect for Nokia, yes. But becoming another “me too” entry in an already crowded Android market might have been even scarier. And that’s exactly the point. 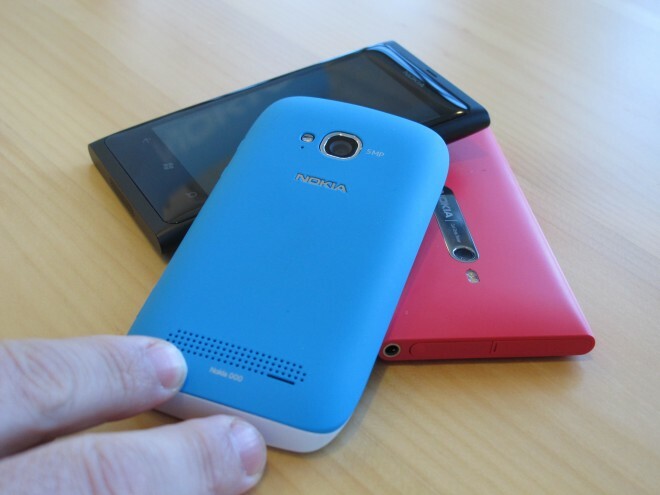 Nokia and Microsoft aren’t trying to out-iPhone Apple, or out-Android the host of Android handset makers. Rather, they’re looking to become a healthy, respectable David to the smartphone industry’s two Goliaths. “Our core mission is to get into [consumers'] consideration set,” Brandon Watson, senior director of Windows Phone, told Wired.com in an August interview. Part of the Nokia’s success — if and when it comes — will be credited to Microsoft’s stellar UI design, which refrains from using the traditional “menu screens and app dock look” so familiar in Android and iOS. Instead, the Windows Phone OS offers a tradition-busting, window-pane-style interface composed of “live tiles.” It’s smart, sleek and looks unlike anything Apple or Google have created. Of course, Nokia isn’t the only smartphone manufacturer betting on Windows Phone. Samsung, HTC and LG were the first to host Microsoft’s OS on their phones, long before Nokia and Microsoft ever penned their billion-dollar partnership deal. Unlike other manufacturers, however, Nokia isn’t hedging its bets between multiple platforms. All three aforementioned device manufacturers are selling both Android and Windows Phone 7 handsets — with much more emphasis on the former over the latter. It’s a sensible maneuver for the handset makers: Bet on the heavy hitter while still keeping Windows Phones in their back pockets, should the upstart platform take off. But this strategy also means splitting time, energy and investment of resources between two platforms. While the older Symbian operating system is still a viable option for low-end Nokia phones outside of North America, Nokia is leveraging just a single smartphone platform — Microsoft’s — for the U.S. market. This means Nokia can dedicate all its attention on optimizing a hardware/software experience for Windows Phone users. And that means Nokia can offer bespoke features that other handset companies can’t. The Lumia series, for example, will ship with two custom Nokia-made apps never before seen on Windows Phone devices — Nokia Maps and Nokia Drive — and the company plans to create more of these exclusive apps to further entice potential customers. This is where the rubber hits the road. A platform is not a platform without a thriving developer ecosystem. Take a look at Apple: Over half-a-million apps are available for download in the company’s app store, and that number rises every day. Android is quickly catching up, with over 300,000 apps available in the Android Market to date, according to app tracking web site App Brain. Windows Phone development pales in comparison. As of August, Microsoft’s Watson told us the platform hosts over 30,000 applications available for download, a number dwarfed by the massive offerings of competitors. So what’s Nokia to do? To attract third-party developers, an apps platform must promise lucrative returns, and that’s very difficult to do for a platform like Windows Phone, which lacks a thriving installed base. In terms of straight-up profitability, iOS is making the most money for developers, with over $2 billion paid out since the platform’s inception. And while Android isn’t faring as well in terms of payout and overall apps monetization, it’s still got a hell of a lot more people creating apps for it — and that’s attractive to consumers who want to make sure they’re buying a smartphone with a thriving apps ecosystem. Nokia and Microsoft know they can’t participate in a straight-up apps arms race at this late stage of the game. So, to court would-be Windows Phone developers, the two companies are pitching another angle: discovery. It’s a fair criticism. Major app studios like Angry Birds creatorRovio, action game creator Glu, and other similar development houses are raking in the lion’s share of profits, while one-to-two man outfits are getting lost in a sea of app noise. Sure, if you dig deep enough, you’ll find indie success stories — one coder’s app goes crazy overnight, scoring her hundreds of thousands of downloads and over a million bucks in profit — but they aren’t as common as you’d think. So essentially, Nokia and Microsoft are promising developers to be much bigger fish in a much smaller pond. ”With Windows phone and Nokia, there’s an opportunity to get in on the ground floor, to get noticed, properly merchandized and discovered,” Kleinmeier said. It’s a familiar-sounding promise, and it didn’t work out for HP when it relaunched the webOS platform on the TouchPad’s ill-fated debut. 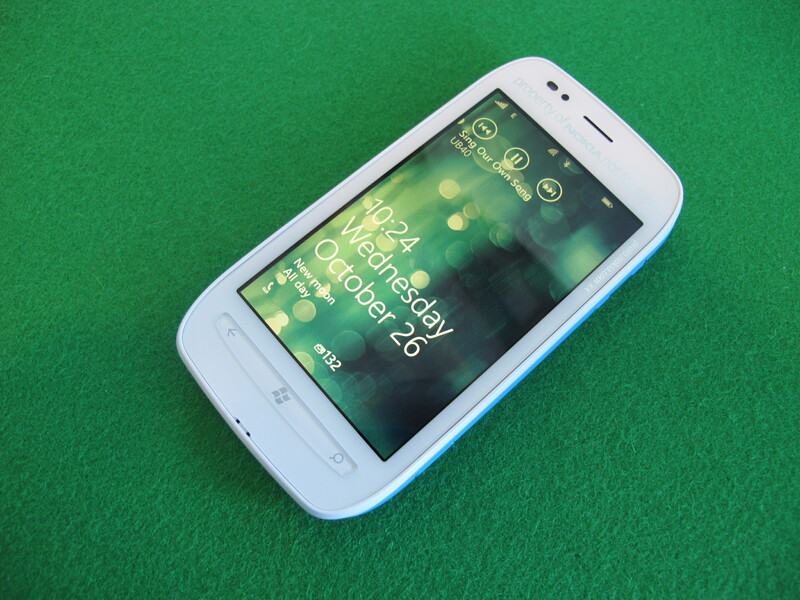 HP boasted of webOS’ high-discoverability appeal, and even offered a monthly e-magazine devoted to developer apps. We all know how that turned out. It’s also entirely possible that the long, slow demise of HP’s webOS — if not, also, RIM’s BlackBerry — will serve Nokia and Microsoft well in the long run. The fewer platform choices a developer has, the higher the likelihood he or she will end up going with Windows Phone. In theory, at least. Nokia and Microsoft have their work cut out for them. Apple and Google have more market share, more mind share, a frenetic and evangelical user base, and a multi-year head start. But Nokia and Microsoft have billions of dollars, a long, entrenched industry history and — let’s face facts — not many other options. The Lumia series of handsets are an example of Nokia bringing its A-Game. Only time will tell if that game is good enough.